Berkshire Outfitters is the source for canoes, kayaks, bikes, X-C skis, snowshoes and much more. Berkshire Outfitters has everything you need for your outdoor excursions. You'll find a great selection of the best brands in equipment and gear on the market. Berkshire Outfitters is your source for racing and recreational canoes, as well as white water and sea kayaks. 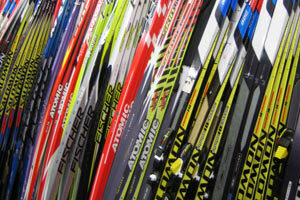 The selection of X-C ski equipment, waxes and apparel is the best in the Berkshires. Not to mention you'll find snowshoes, bikes, snow boards, camping and hiking equipment, footwear and much more.